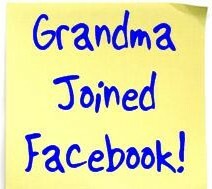 Grandma/Grandkids Use Facebook: Do You? – Media! Tech! Parenting! Grandma/Grandkids Use Facebook: Do You? 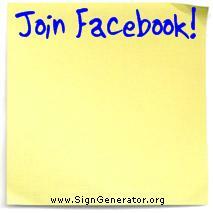 Join Facebook? For three years I avoided the site. I knew that some of my friends from work, church, and other activities were joining, and of course the kids at school were all over it, but I just did not feel like it was a fit. Way too different, I thought. My daughter, then in graduate school, used the social networking site, and she occasionally suggested I get started with Facebook (she spoke these words in bold). Still I refrained. At some point, however, I became aware that my mother and my twenty-something daughter were communicating with each other more than usual. They knew things about each other that I did not know. Finally my daughter mentioned that her grandmother — my mother — was on Facebook and that the two of them had “friended’ one another. That’s when I called Mom, at that time age 81. She explained that her fellow workers from the Obama campaign, exceptional young people she called them, had arranged virtual reunions on Facebook. They wanted her to participate and helped her get started. So, like many of today’s parents, I found that I was in the middle, but basically out of the generational communication loop. By the time I tuned in, my mother had over 100 friends, all people she knew in one way or another (no strangers and privacy settings in place, she reassured me), and quite a few in her age-range. I signed up for Facebook. An August article in the Albany Times Union, Grandpa’s On Facebook, Should You Be? describes the increasing number of elders now using the social networking site. Writer Lynda Shrager points out that digital communication can alleviate loneliness — a big problem as people age — and one that every family with senior members needs to consider. Now we have social networking in addition to our regular e-mails. (My mother is already working on texting.) We know just enough about one another’s daily endeavors to stay up-to-date, stay safe, and feel a bit closer to one another across the distances. On more than one occasion each of us has made the a mistake or offered a gentle reminder to another person about privacy issues. So doesn’t this illustrate the whole point when it comes to families and communication? Whether we are thinking about the welfare of our kids, parents, or other family members, we all need to understand that the more well-connected we all are, the better. It means we just happen to know more, in a fairly unobtrusive way, about one another. Our social networking is a family conversation, always in progress. Isn’t that exactly what we parents want? Next Post Typing Web Touch Typing Site: BookMark It! Pingback: It’s Something New and We Don’t Understand: On Fear, Part #2 « Media! Tech! Parenting!